The North American Board of Certified Energy Practitioners (NABCEP) is a third party certification organization that provides credentialing programs for professionals of the renewable energy industry. The voluntary certification programs ensure the practitioner's extensive training and expertise, provide a way for practitioners to distinguish themselves from competitors, and provide the public with a way of choosing amongst installers and protecting themselves from low quality work. So why aren't all solar companies NABCEP certified? To put it simply, its a lot of hard work to even be eligible and the tests are hard! 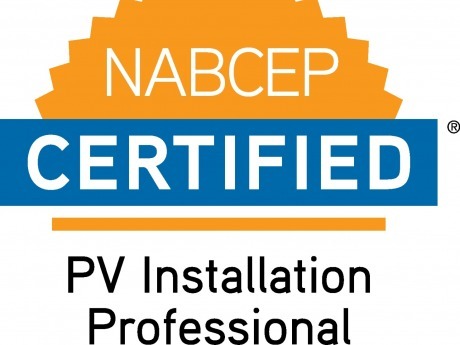 The requirements for the PV Installation Professional Certification includes managerial experience in the field, a minimum of 58 hours of advanced PV training and an Occupational Safety and Health Administration (OSHA) 10 hour construction industry card. Once you've passed the test, NABCEP certificants are required to pursue continuing education to stay up to date on applicable code and technical developments in the industry. There are only 16 NABCEP Certified professionals in the state of Montana, and a quarter of them work here at OnSite Energy! Education and accountability are some of our core values, and we will continue to challenge and support our employees to achieve this certification, underlying our dedication to providing the highest quality solar electric services. Keep an eye out for more OnSite Energy employees on that list, as we've got more installers putting in the hours and hitting the books as we speak!